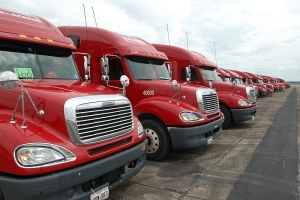 Non-retail fuel users include many private fleets from medium and large companies. They use stored fuel to get business done. And that means their business can be disrupted by problems with fuel and fuel storage tanks. Non-retail fuel users aim to dodge these problems so they don’t disrupt business. But it’s hard to dodge problems with the right information. Microbes and microbially-induced corrosion of the storage tank can spread problems from the storage tank to their vehicles. These problems are tough to remediate without the right tools and the right approach. Many times, fuel users are just using guesswork to avoid these serious issues. Bell Fuel & Tank Services (Bell FTS) offers the right tools and the right approach, to eliminate the guesswork. The Bell FTS program works with non-retail fuel users and private fleet companies to take a hybrid approach to caring for their stored fuel and tanks, to ensure they stay fuel-problem-free and ready for business. These non-retail fuel users stay problem-free with the best fuel treatment chemistries that eliminate these problems and make sure their engines and equipment get maximum usefulness. Bell Fuel & Tank Services also provides the best mechanical tank services and fuel problem mediation, to cover the elements of fuel health that fuel treatment chemicals can’t achieve. And both of these essential elements are supported by state-of-the-art testing and monitoring that ensure fleets and non-retail fuel users know what’s going on with the condition of their fuel. This includes next-generation microbe monitoring and fuel testing that gives both a clear picture of what’s actually going on in the stored fuel, as well as a clear direction as to whether their stored fuel is heading for a problem or not. Better yet, the Bell FTS program’s Fuel PM approach helps these stored fuel users predict and head off problems instead of reacting to them.